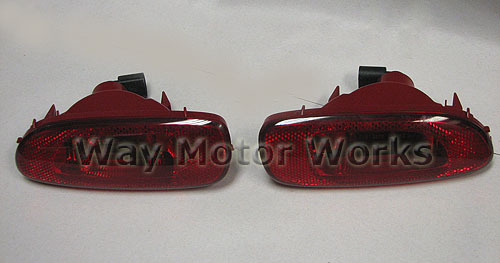 Rear Fog lights for the MINI Cooper S R56 R57 2007-2010. If your didn't check the option for rear fog lights on your MINI here is what you'll need to add them. These are also great to add if you want extra rear brake lights. Come as a pair as shown in picture. Both include bulbs and sockets.